This drill section has a lot of pro drills, Russian U20, Czech U20, I started using Youtube and the Section 14 postings have Youtube links and there are links to Youtube video of most of the drills in the other Daily Drill sections. The Table of Contents for Drill Section Fourteen is attached below. Quick feet and firm passes. Coach resist the F and force the D to make evasive moves. Forward shoot while skating and follow the shot for a rebound then screen. 1. F1 leave at both ends and pass to D1. 2. D1 drive skate to the big ice and pass to F1 in the wide lane. 3. F1 read the coach has given up the blue line and skate to the middle with the puck and shoot. 4. D1 follow and get a puck along the boards at the top of the circle. 5. D1 skate backward with the puck and make evasive moves vs. the coach to find a shooting lane. 6. D1 shoot while F1 screen and tip. 7. Repeat with F2 and D2. You are a lucky man going to Prague , last time i was there was when i coached Kelcie Baun ! FYI Midget AA can be very challenging . Be secure in the 17 year olds you take are of good character because I found lots at that age and level have lost the desire to be committed as they should . However the 16 year olds are still very keen on making MAAA next year . Or perhaps I'm out to lunch and you will have a trouble free team ( here's hoping ) Anyways, the boys will be very lucky to have a coach of your stature spending time in their hockey career . Have fun and thanks again for this tremendous site . SMAC I have heard the HP1 is was very good last year. I plan on finding out about the players before we draft teams. They all get invited to at least Jr. A camps so they have something to improve for. I added a coach to replace my D coach who is moving to Edmonton. He was with my grandson's PW1 team last year. He will work with the D and have a former NHL defenseman coming about half the time as he works shifts on the SWAT team. I am looking forward to it. They have a spring Midget camp while I am at the symposium in Prague. So I will miss that. I plan on attending the Coaches Site coaching conference in Vancouver late July. It was very good last year. Goalies must be able to skate in all directions using their edges and slide and get back up in a balanced position. A: Coach make x’s on the ice in a zig-zag with a marker. 1. Goalie push with the inside edge and glide to the x’s. 2. Goalie push and slide with the inside pad into a butterfly; forward then backwards. 3. Goalie push side to side get square and drop into a butterfly. 4. Goalie stay in the butterfly and push off side to side with the inside edge. B: Goalie coach take many shots at one spot. 3. Sliding post to post. Crease Skating Video – 42 goalies at once. Slide outside of the post so you don’t score on yourself and take the goalie out. Time slide so that the attacker has no more options than the pass across. Don’t go down too early. Stick should be in the lane of the trailer pass. 1. Defenders start at the blue line skating backward. 2. Either two coaches or two players attack 2-1. 3. Start with a wide pass to an attacker. 4. Defend between the attacker and teammate on the puck carrier’s side. 5. Slide outside the post when the attacker gets to about the dot. 6. Skate out hard to the blue line. Use this breakout when versus a passive forecheck when the offense sets up behind the net. Fill the low three lanes with two players stretching, one at the far blue line and one cut across the middle. 1. Two units of five start at the red line and the coach dumps the puck in. 2. Extra players are on the bench. 3. D1 take the puck behind the net, D2 swing to one corner and F1 to the other. 4. F2 and F3 stretch. F2 can swing low then across the middle opposite D2. 5. F2 swing across the middle toward F3 at the far blue line. 6. D1 pass to F2 up the middle of F3. 7. Play 5-5 in the zone. 8. Alternate ends and rotate groups. 9. D1 can pass to any of the other 4 players but work on one option at a time. 10. The same drill can be used to practice defending the stretch breakout. The link to the Drill club is not working - any idea why? love that link !!! Hope this works. Great ideas from high level coaches living all over the hockey world. Drill of the Week Club. Coaches I have put together two folders of practice ideas. The first focuses on offensive skills up to a 3-3, the second on team play and defensive skills and the third is how the Swedes practice up to 3-3. I code everything to make the ideas easier to find. The Pdf’s have coded descriptions, diagrams and a video link to view a demonstration. Practicing individual skills and game situations up to 3 on 3. Set up behind the net for a controlled breakout. Forwards swing wide low and fill the three lanes. Carry the puck into the ‘Big Ice’ between the dots in the neutral zone and pass outside for a wide entry. 1. Coach shoot the puck in. 2. One forechecker pressure and two defenders at the point. 3. D1 take the puck behind the net for a controlled breakout. 4. D2 swing to the one corner with one F and two F swing to the other corner. 5. D1 read the forecheck and pass away from pressure. 6. One F cut to the middle lane and get a pass. 7. Pass outside and do a wide entry vs. two defenders. 8. Attack 5 on 2 in the offensive zone. 9. Repeat with a new group. I'm from Edmonton here and I'm also heading to the IIHF symposium in Prague. I can't wait to meet you in person. Gary it was great to meet you at the symposium. I thought all of the speakers had worthwhile things to contribute. Prague is such a beautiful place. If you can learn to use the subways system it is pretty easy to get around. I am waiting for my next flight in the London airport. I just finished an order of Fish and Chips. Players move around a skill circuit in ability groups from 5 to 7 in each group. Lots of tight turns, shots, a 1-1 station, obstacles to go around, under and over and many starting with a pass from the coach. Shoot while skating, follow your shot, give a target, pass hard, stay onside. 1. P1 Start with a puck from diagonal corners. 2. Shoot and follow the shot for a rebound. 3. Skate back towards the original end and P2 leave. 4. P2 pass up to P1 and follow for a return pass. 5. P2 and P1 skate in and P2 shoot, both follow for a rebound. 6. P2 skate back for a pass from P3 and attack 2-0. Face the puck, give a target, do everything while skating, delay, shoot, screen, tip, shot pass. One F support on the wall and another in the middle. 1. F and D start from diagonal blue lines on each side. 2. F1 and F2 skate and regroup with D1 on each side. 3. D1 pass up to F1-F2 who attack and shoot. 4. Coach spot a new puck inside the defensive blue line. 5. D1 retrieve the puck and pass up to F1 or F2. 6. F1 or F2 delay at the hash mark and pass to D1 at the point. 7. D1 drag and shoot while one F screen and the passer head to the net for a shot pass. Since getting back from the IIHF Coaching Symposium at the World Championships in Prague I have been putting my time into converting the 200 or so short practice video clips that I haven't labelled or done diagrams for as yet. A lot of the material is on how to practice the 'Details of the Game'. One timers, taking rim passes, good stick position as well as team play drills. There are also many flow and team play drills as well. I convert them to the WMV format which I can use in my video editor. I just converted and uploaded about 30 new ones to the Ready for Diagrams section. When I process them they are put into the ABCDEFG or O video sections. Dwight has designed a great Search Function on this site. You can type in 'breakout' or one timer, or pro and get the links from all over the site. A general search will find everywhere the words are mentioned. The Advanced Function narrows it down to video, or forum posting, author, etc.. It is a terrific tool. There is so much material here that it would be impossible to find without a 'library like' coding system. I will attach a pdf. with the code for sorting the material. The symposium was great with lots of international presentations. I got to meet coaches from around the world, see three games and enjoy the sites of Prague. On my way I stopped in Barcelona for a few days and hooked up with the team Juhani used to coach there. I played hockey with them last Wednesday and another Calgary guy, Gerry Dufort, who spends a few months in Europe every year, riding his motorcycle and playing hockey tour took me on a tour of the city for two days. I brought a few pairs of good used skates, gave them a practice jersey from Mount Royal and they gave me FCB coaching outfit (they are part of the Barcelona Football Club). Great time and nice people. Got back late Monday night and played hockey T-W-Th-F and now have shaken the jet lag. I was awful T and felt a little better each day. Exercise and sleep are the best cures for 8 hr. jet lag. Protect the puck and keep the head up. Make moves and quick poke checks to knock other players pucks away. Great way to get the hands going at the start of practice. 1. Everyone start with a puck and you must stay between the blue lines. 2. Weave through in all directions protecting the puck. 3. Poke unprotected pucks off other players sticks. 4. Retrieve your puck if it is knocked away. 5. Go hard on the whistles. 6. Keep track of how many times you lose the puck. *This can be used as part of the warm-up while the goalies work at one end. Team Canada at the IIHF World's and Tampa Bay are soooo fast and transition so quickly and are now the template for the game in this era. In the last few years the NHL has changed the way the game is played. Players can no longer go out of their way to finish checks, shifts are very short, depth has been added to transition. Speed, touch back breakout passes, middle drive, shoot of the pass, tips, pass of the pads, high cycles, quick transition, stretch breakouts are the trademarks of the game today. At least 4 on the attack. Everything must be done at top speed. One timer and one touch shots, crossing the mid-line and shooting on a moving goalie are the ways to score. Two man forechecks are much more common and the trap is going the way of the Do-do bird. Pinching whenever F1 can make contact, stick on the puck and stick in the lane, good angles, swarming when the attackers back is turned, overloading the slot, back pressure, everyone coming back deep to the house on the backcheck. For coaches it means that we have to develop quick players who think fast, carry the puck in the triple threat position and make the play right away. All of these things have been part of hockey but now are emphasized more. We are getting closer to 'Total Hockey' and we have to develop players who can do everything on both offense and defense. The D need to be good on the attack, Forwards are covering the point all of the time on pinches and they need to be able to play 1-1, 2-1, 2-1, 3-2 defensive situations. So practices should have everyone taking 1-1's etc. both on offense and defense. I have been spending a few hours each morning converting video I have taken at various practices from MP4 into WMV files.. The video is then coded according to our system and the coded clips are uploaded onto the site in the Ready for Diagrams part of the Video section. There are about 150 clips there now and I have quite a few more to watch, code and convert. Once this is done I will use Windows Movie Maker to edit them and then TCWhiteboard to make a diagram, Word to do a description, convert them to 3GPP format that seems to work on most devices and then put the link on the Word and covert it to PDF. Then they are posted in the forum with the desciption and video, diagram and pdf. links. There is lot of detail work now during pro practices. Efficiency is the key 'Less is More' is the theme and with all positions interchangeable players need to work on all the offensive and defensive skills. Tarasov and George Kingston, Pierre Page envisioned the game this way many years ago. We are moving closer and closer to the 1-2-3-4-5 game of 'Total Hockey'. 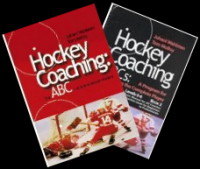 This is a digital copy of 'The ABC's of International Hockey' Book 1. Updated Pdf. Booklet of about 260 partner and team play drills with diagram, description and on most a video link. The second pdf. 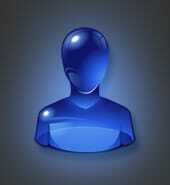 has links over 100 videos clips, that haven't got diagrams or descriptions yet. The last week I have been putting all of the practice video clips that I haven't posted yet into the Ready for Diagrams folder of the Video section. http://www.hockeycoachingabcs.com/mediagallery/album.php?aid=46&page=1 There are 280 now in WMV format that I intend to do diagrams and descriptions with. Most are from 30" to two minutes long. I take the MP4 or Movie clips and give them a title and put them into a category. The Windows Movie Maker works well with WMV files and once I edit them I convert them to a 3 GPP format that runs on most phones and other monitors. B coded drills focus on individual and team skill. Partner passing, shooting and other skills versus no opponents. There are a lot of full ice flow drills that practice team play. Most of the drills are from international and pro teams. When the title starts with T it indicates that the coaches are using a drill to do direct teaching and giving a lot input into the individual or team skill being practiced, many times they are doing the passing and giving feedback. The goal of this material is to update the drills in the ABC books and to help coaches run effective practices and keep up with the changes in the game. I do a one hour skill session with Jr. High students twice a week. Today was the last practice one and we will scrimmage next week to end this years session. We had 53 practices this year. I liked today's session and want to write about it because there is an article in the paper saying how little movement children get in PE classes and team practices. If teachers and coaches would follow this model that I learned from Juhani Wahlsten (he is working with the Education system in Finland on the same concepts) then the students would get fit, have fun and learn individual and team play skills. My last 13 years of teaching in the school system were at grade 1-9 schools and we always had double classes. The only way I survived and was able to get the kid's fit, enjoy movement and develop skills was to use this template. Today - pucks are on the ice and kid's shoot or work on skills. Bus arrives 10' before class and they have to hustle to get some practice shooing. All students were out by the 3' mark. My role is to keep it safe, help anyone who needs it. PE class - (we will use volleyball as an example and classes were 45') 8' to change, balls are out, net is one rope and the small 3 badminton court gym has some extra lines on the floor to make 6 small courts. 20' Skill practice. - Let the players choose their partners to practice. They like to work with players of the same skill and age. I have 4 female ringuette players and 4 who never played hockey outside of this class. The rest play at various levels in their age group. About 8 are good for their age. There were 20 skaters and one goalie. - teacher coach warm up goalie at one end and everyone else. - 3' skate around the rink passing with a partner, one skate backward. Switch each ten passes. Change directions. - 2' get into groups of 3 and one skate backward one touching to the other two players. Change directions. - 6' group of 4 in each of the 5 circles. 2' each pass one puck and follow your pass. 2' two pucks and two players in the circle pass to the players outside the circle. Switch each ten passes. 2' two on two keepaway. In the gym they start with 5 push ups and 10 sit ups and go up one each week then do a ten minute run with short wind sprints the last minute. They ten get into 12 teams. i.e. with 60 kid's 12 teams of 5 and they go to their area. So there are 6 teams of 5 on each side. They practice the skill we are working on in this small area. I set up two nets on each goal line lined up with the dot in the circle they are in and one net at the red line in the neuttal zone for the group in the middle circle. We now have 5 games of 2 on 2. The last ten minutes we had 3 cross ice games. 4-4 at each end and 2-2 in the middle. Rule: at least two passes and goal have to come on one touch shots. (this causes players without the puck to go to the net and the puck,carrier to have his/her head up. We met in the middle circle for 30 seconds to sum up what we did. The players were active for at least 55 of the 60 minutes. Got a huge amount of passes, shots. They had fun and the movement automatically improves their fitness. We played a tournament of 8' games. The team in front at 8' is the winner and one student circles their team number on a big chart with a round robin 11 game tournament. Sometimes we played King's Court instead of the round robin. We would do a summary for the last minute and then they changed for the next class. Every kid, every year could run the 30' without stopping, do 25 push ups and 50 sit ups. We always won the June track meet going away as all our students were fit. So all this talk about no juice etc. is garbage. The kid's are overweight because they don't move enough and the activity in PE class and most practices is insufficient. Here is a 13' video from the last year I taught grades 7-9 (12-14 years old). I gave all these details because meeting Juhani Wahlsten in 1985 changed the way I teach and coach. The ABC method is so efficient compared to any other way I have seen classes and practices done. It has enabled me to go all over the world and use the 'Game to Teach the Game' in places where no one could understand English, but they all understand movement and fun. I have seen how effective the 'Games Method' is all over the world. I feel sorry for the poor kid's standing in line on the ice or sitting in squads in PE when they could be moving and learning to love to play. C drills focus on game situations 1-1, 1-2, 2-1, 2-2, 3-2, etc. The offensive players attack vs. opponents and try to score and the defenders work to prevent a goal. There are 145 pdf.s with diagrams, descriptions and video links. There are also about 50 video links that I haven't done diagrams for as yet. These are in the WMV format for the most part. When the title starts with T it indicates that the coaches are using a drill to do direct teaching and giving a lot input into the game situation. T2 game playing role two, players supporting the puck carrier. T3 player checking the puck carrier. T4 players covering away from the puck. T2-4 team play situation. etc. Puck Handling, Shooting, Skating drills. Skating skills from Finland, Minnesota, Sweden and Dr. Gaston Schaeffer (PHD Body Mechanics, Olympic Coach) explains and demonstrates the mechanics of skating. Puck handling with instructions from a Russian Olympic Coach and development ideas from Finland and Sweden. Checking skills from North American and European pro teams. Shooting skills from Sweden and lots of pro T1 coded drills where the coach is working with a few players on technique. Videos that I uploaded in the last year but haven't had time to yet to do diagrams are at the end as links you can click on. This link takes you to a digital copy of the book on the right hand side. On the left are videos clips of the Level 0-1-2 cards. The cards describe the Basic Formations for the drills and games to run effective practices. The drills, games and shootouts are designed to start with a non-skater and take them through the first few years of hockey. Skating and basic puck handling, passing, shooting are introduced in the drills and the games teach good habits and how to play in the Four Game Playing Roles. Role One - player with the puck. Role Two - players supporting the puck carrier. Role Three - player checking the puck carrier. Role Four - player covering away from the puck. Games are a critical component of learning to play hockey. We are helping the players learn to 'PLAY a GAME' and not to skate along lines and through pylons. Games can be played full, half, quarter, on third, or basically in any area of the rink. It is important to keep score and monitor any modified rules. Skills, good habits, team play, skating can all be practiced by playing games in practice. This booklet has 115 pdf.s with diagrams, description and video examples of some of the games a coach can use. There are another 70 video clips of games. Only use these games if you are willing to have your players enjoy practice, become creative, learn to read game situations and make appropriate decisions. In other words move toward becoming 'complete players'. Some games are the same but I left them in the booklet because it may be a pro team playing one time and then a team from Finland or a youth team another. It shows how games are played at all levels. This booklet focuses on the skating, shooting, passing, game situation and team play skills that are required to become a top defenseman. When the title is black there is a video link below. When the title is blue you can click on it for a description, diagram and video link. This pld. booklet has many ideas for conditioning skating and agility. It starts off with descriptions and diagrams and then has videos of the drills I haven't written up yet. This pdf. booklet has shootouts and contests that are often done at the end of practice. There are many pdf. files and then a list of video links for ones I have done the diagrams for yet. This booklet has video clips of coaches from around the world working with goalies. This booklet has examples of coaches using circuits and one on one instruction to teach skating and offensive and defensive skills to players. Examples range from youth to pro players. Below is a pdf. showing transition in a Penguin - Red Wings game (Game Transitions) and then a booklet with Transition Games 2014. I will replace it with an updated booklet later. Watch the game transitions from loose puck to offense to defense to loose puck in the video for one minute and you will be amazed at how many transitions each player must make. Role 2 game playing role two, players supporting the puck carrier. Role 3 player checking the puck carrier. Role 4 players covering away from the puck. Role 1-3 a 1-1 situation. Role 2-4 team play situation. etc. All times are GMT. The time is now 12:36PM.